What are some of the best responses to “Sell me this pen”? There are few things in life which are represented realistically on screen, sales is no exception. I’m sure that the above ‘dramatic silence’ just wouldn’t play out as well as it might in a movie (I guess it’s a lack of background music or something). And the most recent on screen adaptation of a sales job is pumped full of excess and madness beyond belief (I’m looking at you Scorsese), the Wolf of Wall Street. In this film, the age-old interview question “Sell me this pen” is hijacked and hyped up for full dramatic effect. This film of course comes up with a witty response of something relating to “Supply & Demand” but in reality, this doesn’t answer what is being asked. Even Jordan Belfort (the real-life Wolf) admits as much. So what is the purpose of asking this question at a job interview? Do they place their customer’s needs ahead of their own: Focusing on the customer’s needs is number one in sales. A sales person needs to be able to start with the customer to build and develop a genuine relationship of understanding and help. Can they perform on demand: Since this question creates a role play scenario, the interviewer can see how easily the candidate slips into selling mode and how comfortable they are in doing so. How they think on their feet: This role play allows the interviewer to alter the course of the conversation and to test whether the sales person has the ability to regain control and navigate towards their end goal. Can they communicate clearly: Communication is key to sales. A sales person needs to be able to communicate an idea clearly and effectively to their prospect and to rephrase and simplify if required. This also shows if they can build up a good rapport with their prospect and leverage off good will to progress the sale. A sales person who can demonstrate a genuine understanding of these, shows that they understand sales. The next question for you, is to discover how to get a sales person to demonstrate these qualities? This main thing you need to realize is that the pen is not the point of this exercise. If the sales person can demonstrate a clear and focused approach to selling, this can be applied to anything, even an ashtray, as Zig Ziglar famously demonstrated. You do however, need to be cautious of anyone who starts listing off features or making outrageous claims (it is your pen after all so you know what it can and cannot do). Any sales person worth their salt will start by asking questions to build up a profile of you, their prospective customer and to develop an understanding of if the pen is suitable or not. Situation: Used to collect facts about the prospect / their situation. Problem: Probing questions trying to identify problems, points of dissatisfaction or general difficulties that the prospect has. Implications: More in-depth probing for the consequences of a problem or the point of dissatisfaction based on information gained from previous questions. Need-payoff: Need questions uncover the core need or buying realization for the prospect. They focus their attention on the solution and the benefits they will receive as a result, rather than the product/service you are selling. The sales person’s questions are inviting their prospect to share some insights into their situation. Using this, they begin to gain an understanding of their customer’s ‘pen-needs’ and help to uncover if they really have a need for your solution. Ask the person what they do: helps you to understand the person to whom you are selling to, how they will use your product – if they are in management then they probably sign important documents and checks. Listening to them here will give you the background information and hints you will need to efficiently persuade them to buy the pen. Acknowledge how important their job is and get them talking about the last time they used a pen: Link the importance of their job to their use of your product. Signing checks is important, they don’t want to be wasting time looking for a pen or using one that is running out of ink – their signature is important and should look strong. Highlight a feature of the pen that you are selling and associate it with a signature fitting for the work that they are doing, for example; if they are signing important legal documents, they should sign in your pen’s strong blue ink, so they can distinguish the original document from a copy. Gauge their reaction to the usefulness of the pen and the power it wields. Highlight an emotional use for the pen: In step #2 you sold them on the importance and practical uses of your product. Now in the next step, sell them on the emotional benefits of your product. Using the pen for writing a handwritten note. Tell them a story. Highlight how you have started writing your spouse, parents, and friends handwritten notes. Get them thinking about someone in their life that they appreciate, and that they would like to thank. Make an emotional and personal connection with the pen. The handwritten card and bright blue signed ink can be their trademark. Hand them back the pen and close the deal: Close with connecting to the things that they connected most strongly to. If they seemed to resonate more with step #2, tell them it’s time to buy the pen and get back to work signing contracts. If they told you their mother’s birthday is tomorrow and they haven’t gotten her a gift yet, tell them it’s time to buy the pen and write her a special card. As you can see from the dialogue above, the sales person begins by asking questions about the potential client, learning as much about them as possible. Questions are probing the customer and you can take the response and make your next move right after. In this case it ends up with the sales person tying an emotional value to the pen for selling it. Wouldn’t you say signing those new customer contracts is an important event for the business? (nods head) Then shouldn’t it be treated like one. What I mean by that is, here you are signing new customer contracts, an important and memorable event. All while using a very unmemorable pen. We grew up, our entire lives, using cheap BIC pens because they get the job done for grocery lists and directions. But we never gave it much thought to learn what’s best for more important events. This is the pen for more important events. This is the tool you use to get deals done. Think of it as a symbol for taking your company to the next level. Because when you begin using the right tool, you are in a more productive state of mind, and you begin to sign more new customer contracts. Actually. You know what? Just this week I shipped ten new boxes of these pens to Elon Musk’s office. Unfortunately, this is my last pen today (reach across to hand pen back to CEO). So, I suggest you get this one. Try it out. If you’re not happy with it, I will personally come back next week to pick it up. And it won’t cost you a dime. What do you say? Sales person: Are you in a positive state of mind? Sales person: What are your most important goals in life? Interviewer: To be happy and productive. Sales person: Did you know that the first and most important step to achieving your goals is to write them down on paper? Were you aware that every successful person from Bill Gates to Warren Buffet begin all of their planning for success with the simple act of writing their goals down? Interviewer: I have heard that. 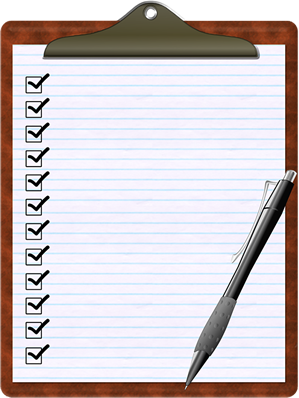 Sales person: Would writing down your goals right now bring you closer to achieving your own personal success? Do you believe that? Sales person: How much would being measurably closer to achieving your life goals be worth to you? I will take that amount right now in return for this pen so you can write them down and be closer to a happy productive life – right now. As well as some of the great answers above, there are some certain ways not to answer it! We’ve already mentioned that listing the Features, Advantages & Benefits (FAB) is not a good start. Another sure way to avoid is fire. 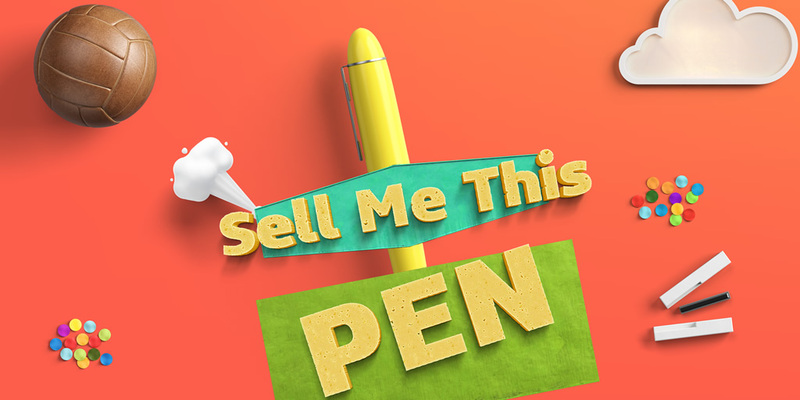 “Sell me this pen” is not about the pen! It is about the sales person discovering the customer’s needs. A great sales person will focus on identifying and understanding the biggest problem facing their prospect. And once they have done this, the sale is the natural result. This exchange should leave both the buyer and seller feeling that a relationship has been developed regardless of the sale. A genuine desire to solve customer’s problems will be acknowledged, even if they are not currently in the market for your product at this time.